As the caretaker or loved one of a person with Alzheimer’s, you know the disease can make it difficult to maintain health and hygiene. Keeping the teeth and gums healthy and infection-free can present a real challenge. Your loved one may be reluctant to brush and floss regularly, and visiting the dentist can be a challenge as the disease progresses. Your Alzheimer’s disease dentist is in Grande Prairie at Access Dental — and we are here to help you and your loved one. The basics of dental hygiene are the same for everyone. Brushing for two minutes, twice a day, and flossing daily are required for continued oral health and overall well-being. But people in the early stages of Alzheimer’s may gradually stop practicing good dental hygiene practices — and as the disease progresses, they may be highly resistant to brushing and flossing, too. Help your loved one maintain healthy teeth and gums by modeling the action. Rather than simply telling the person with Alzheimer’s to brush or floss, help them by showing them what to do. Or try breaking it down into small directives, like “put the toothpaste on the toothbrush,” and so on. It’s important that you help your loved one visit the dentist regularly for routine preventive dental care. Six month checkups and cleanings are the foundation of teeth and gums that stay healthy for a lifetime — and a disease- and decay-free mouth contributes to lasting overall well-being, too. Gum disease has been linked to a number of problems with overall health, including heart conditions, diabetes, and even certain types of cancer. Its prevention is easy with regular preventive dental care. It is very important that you choose a dentist who has experience providing dental care for Alzheimer’s patients. It requires a special approach — and the team at Access Dental has the skill people with Alzheimer’s (and their loved ones) appreciate. One significant help in the dental treatment of people with Alzheimer’s is the use of sedation dentistry. Often, people who have the disease are reluctant to sit back in the dentist’s chair. Some patients may become resistant when it is time to open their mouth for treatment. But with the use of oral conscious or IV sedation, the dentist is able to bring necessary relaxation to the patient, removing them from the sights, smells, and sounds of what’s going on around them. Many times, the person undergoing treatment will doze throughout the treatment, waking when their teeth are healthy and clean. If you are caring for someone with Alzheimer’s, you know their dental health relies on you. 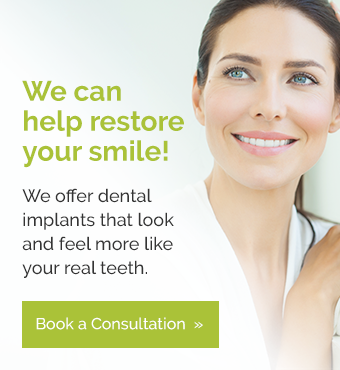 Contact our office to schedule an appointment for a checkup and cleaning or any other dental procedure today. We are happy to discuss sedation dentistry and our special approach for patients with Alzheimer’s. Let’s get started today!